Amy Ruiz Fritz July 7, 2006 July 7, 2006 6 Comments on >Are you telling me you built a time machine, out of a DeLorean? This is heavy duty, Doc. >Time traveler or retired coke dealer? >i cannot believe my eyes! 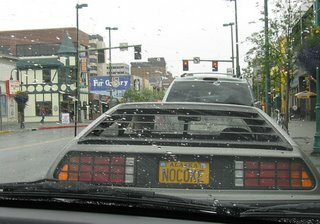 >Does that really say “no coke”??? Fact: The Frnchies use to ship cocaine inside the frames of those cars. 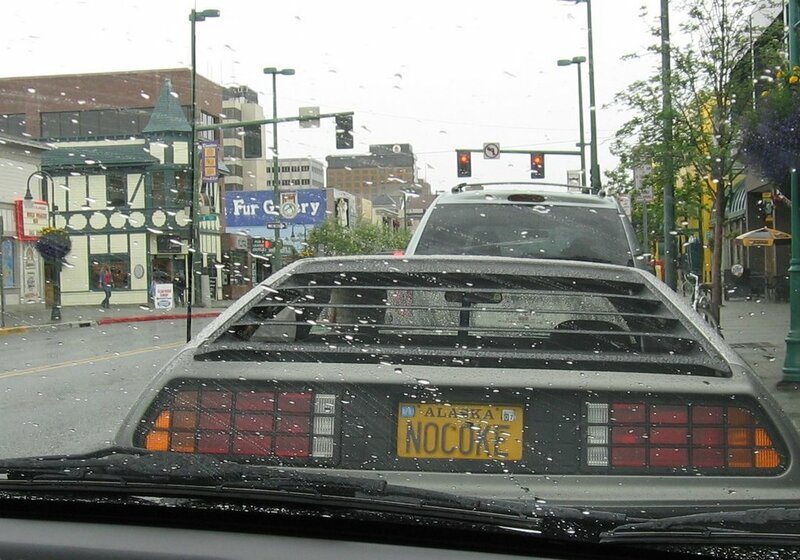 >Yep, it says No Coke. I’m not really sure how well that car would fare during the harsh winters, but maybe his other car is a Hummer. Stickers and Jesus fish are so annoying. >Could be John DeLorean behind the wheel…no, wait, he’s dead.